High precision SH-807E 2-way pan head with quick release system and dual-axis bubble levels plus a round type bubble level. Strong and light PRO 700DX A.M.T. alloy legs in black color with soft grip. 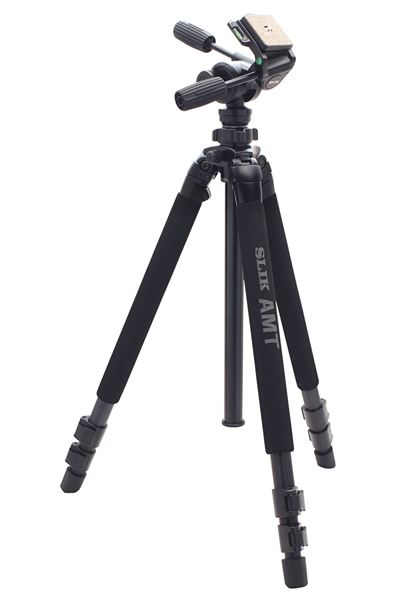 Great for D-SLR, Medium Format and 4×5 view cameras.